The school holidays are rolling around again and we know how difficult it can be to keep the kids entertained. Lucky for you, we've written a list of fun activities to do in our favourite Coolum and Peregian suburbs! Our suggestions are mostly cost-free and budget-friendly, however, if you do have a little bit of cash saved up, there's a couple of paid activities in there too. Peregian is one of our favourite suburbs on the Sunshine Coast because it's very community-minded, super relaxed and offers plenty of entertainment for the kids. A peaceful and often forgotten bushwalking track that offers a great view! It's less touristy and easy enough for kids to run up and down. What's even better is that parents can walk it at a leisurely pace. Have some fun in the sun at Peregian beach. Bring along your swimmers, some blow-up toys and let the kids run wild. 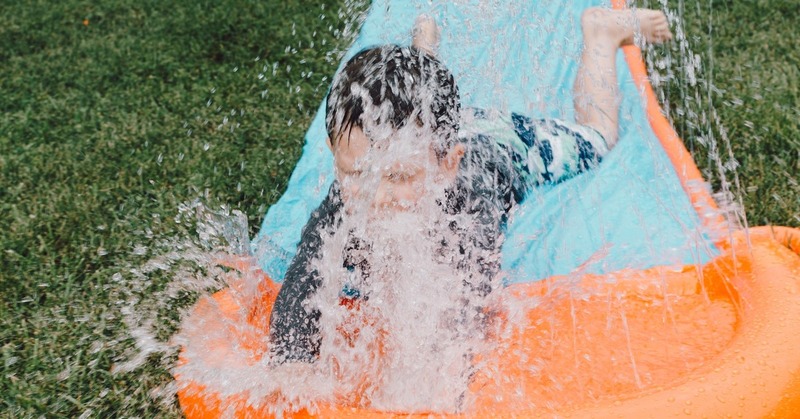 We also like the idea of bringing along a tarpaulin, laying it out across the sand and using the blow-up toys to make a fun slide! Peregian beach has patrolled areas for families to safely swim in, so always remember to stay between the red and yellow flags! This is a free, non-for-profit event hosted every second Sunday of each month. It's great fun for the whole family as the festival is centred around live music and great food! These markets are held every first and third Sunday of every month. Buzzing with many people, the whole family can explore the local hand-made crafts and munch on a variety of delicious food. It's a relaxed atmosphere that can get the whole family out and about one morning. Located right next to the seaside, this playground is suitable for young children. There are swings, slides and even a flying fox to play with. During the hot summer, parents can feel relieved that the kids are protected by an overhead shelter from the sun. Coolum is another one of our favourite suburbs because of the carefree holiday atmosphere, which we believe most parents are searching for. The kids can stay cool and have fun this summer at the massive inflatable course. Parents are encouraged to join in the fun too! The Aqua Fun Park is located in a tea-tree lake, so just be conscious of the swimmers and clothes you wear in the water as it may stain. Scaling Mount Coolum is a challenging walk through the rainforest and a newly reconstructed path. It offers a great view and the feeling of accomplishment once you reach the top. However, we do recommend climbing during the cooler times of the day, wearing a hat, comfortable shoes and bringing a bottle of water! A family fun activity is riding your bikes along the Coolum to Peregian path (along David Low Way). This bike path has no incline, so it's very easy to spend the afternoon exploring Coolum's coastline. Another fun alternative is riding your bikes along the beach at low tide! Every Friday from 4 pm - 8 pm, 65 stallholders come together at Tickle Park to sell food, drinks, clothes, crafts and provide great entertainment. It's a relaxed market which is perfect for winding down the day. Sign the kids up to learn how to surf! It's all about having fun, learning to surf and understanding safe water practices. They cater for everyone's needs, so why not organise something different these school holidays. Noosa Hyundai has a whole range of new and used models that can cater to a variety of different sized families. Why not pop into our Noosa showroom and speak to the team who know what a family needs. We even offer an array of competitive finance plans and insurance solutions at a rate you can afford. To enquire about these plans, feel free to fill out an online quote or contact us today!